Throughout the years, celebrities have endorsed campaigns to end world hunger. Names such as George Clooney, Hugh Jackman and David Beckham have been associated with several UN agencies and nonprofit groups that are devoted to the eradication of world hunger. Now, it is Michael Kors who is embarking in this fight, joining the campaign for World Food Day. The campaign was launched on Oct. 16 and has already delivered over one million meals around the world, according to the Destination Kors website. Among the initiatives, MK stores in New York, Rio de Janeiro, Berlin, Tokyo and Hong Kong gave away “Watch World Hunger Stop” t-shirts. Those who received t-shirts were able to go inside the stores and take pictures while wearing the shirts, which were then featured on billboards in Times Square and on http://www.watchhungerstop.com. 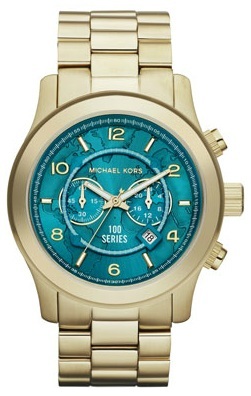 In addition to this advertisement of the campaign, Michael Kors has created a special watch for the occasion. This watch, known as the 100 Series Watch, features an etched map of the world along with the words “100 Series” on the dial, as well as Michael Kors’ signature, “WATCH HUNGER STOP” and “1 WATCH= 100 MEALS” engraved on the back. For every watch sold, the United Nations World Food Programme (WFP) will deliver 100 meals to children in need. Furthermore, Michael Kors will donate $25 to the WFP for every sale of the 100 Series watch. If you would like to contribute to the cause, MK shoppers are also able to add a $5, $10 and $25 donation to any purchase made this month. The donation will benefit the WFP and aid in the eradication of global hunger. For more information, visit http://www.watchhungerstop.com.